Jeffrey Fulvimari Daily Pouch & Tissue Pouch. Cross World Connections has started a new YouTube channel! Shop Staff — Help Wanted! Looking for foreigners with a work visa who like Blythe and want to work with her. 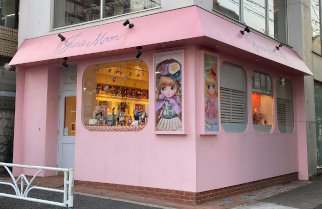 Junie Moon is waiting for you! 17th Anniversary Doll “Neo Blythe Unicorn Maiden” interview with Junko Wong is here! Blythe 17th Anniversary Topics! Here’s This Summer’s Doll and Event News! New Designs on the Horizon! Jeffrey Fulvimari Reusable Bottles! New Designs on the Horizon! Jeffrey Fulvimari Clasp Pouches! 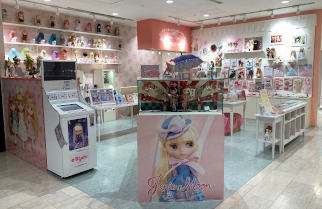 Blythe Doll first pop-up store in Malaysia will launch at the end of October in ISETAN The Japan Store. Blythe is modeling for Fujiya, a popular Japanese candy company. Middie Blythe “Bubbly Bliss” Image Illustration! Jeffrey Fulvimari Approved! 2017 Jeffrey Fulvimari Calendar! 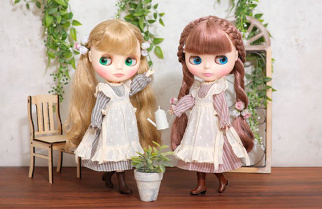 Blythe 15th Anniversary Present Campaign! QUPRE x Blythe Collab Project! It’s as easy as 1, 2, 3, to put on these polish gels. Jeffrey Fulvimari X Million Carats Collaboration products are on their way! 2016 Jeffrey Fulvimari Calenda r& Schedule book is here! 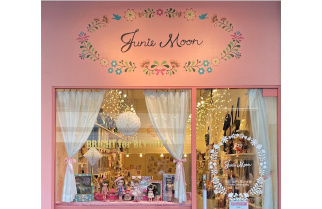 New Junie Moon Facebook page! CWC Books’ newest photo book, OUIOUI Fujimoto Aya’s Blythe Cinema Style will be published from Graphic-sha. Blythe 2015 Desk Top and Wall Calendar is here!